We are engaged in offering a wide range of Industrial and Automobile Sector Hose Clamps to our esteem clients. These are made of high-grade stainless steel procured from the trusted vendors which ensures high durable finish standards and longer working life of our products. The products offered by our organization are made as per the clients needs and specifications maintaining the international standards and are provided within the stipulated time frame. Our products can also be availed with the customization facility providing maximum client satisfaction to our clients. We provide the Automobile Sector Hose Clamp to the clients. 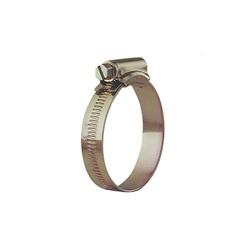 We provide the SS Hose Clamp to the clients. 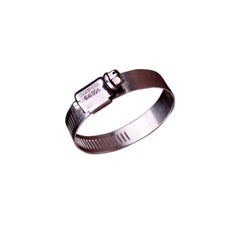 We have been the top most manufacturer, exporter and supplier of Mild Steel Worm Drive Hose Clamp since one decade. The offered clamp is manufactured using quality tested mild steel by our dexterous professionals. The provided clamp is widely used for the irrigation purpose, pneumatic connection, and heavy-duty applications. Additionally, this Mild Steel Worm Drive Hose Clamp can be purchased from us in bulk at industry leading rates within prescribed delivery time. Klampwel Engineering Works is one of the best Suppliers and Manufacturers of Mild Steel Worm Drive Hose Clamps. The offered range is made by using the optimum quality components, which are procured from the trustworthy vendors. Our company surely delivers a high-quality product, which is durable in nature. 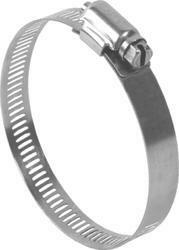 We are providing the range of Mild Steel Worm Drive Hose Clamps at very reasonable price. Made to BS:5315/IS 4762: Klampwel Mild Carbon Steel clamps(Serrated Type) are suitable for the best engineering applications and are made as per BS: 5315/ IS 4762. Finish: All components and parts are free from sharp edges, burrs and also gives a smooth polished finish. 7 mm hexagonal screw: The screwdriver slot provides variety of tightening methods. Material of Construction: The KLAMPWEL brand Clamps are made from mild steel. Wide range of clamps: They are available as per the clients' requirements, to satisfy all the need of our patrons.